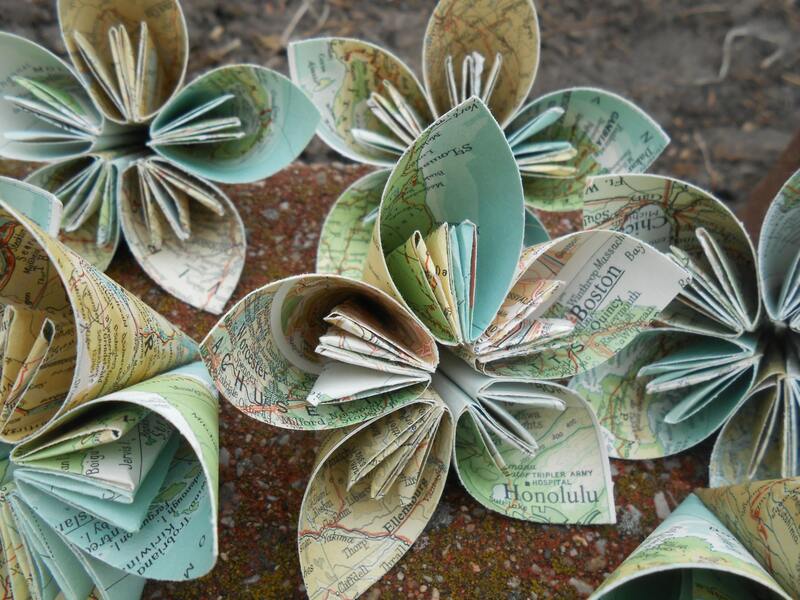 These awesome kusudama flowers are made from vintage maps! I love these maps because they have gorgeous soft turquoise colors, ivories, beiges, and greens. 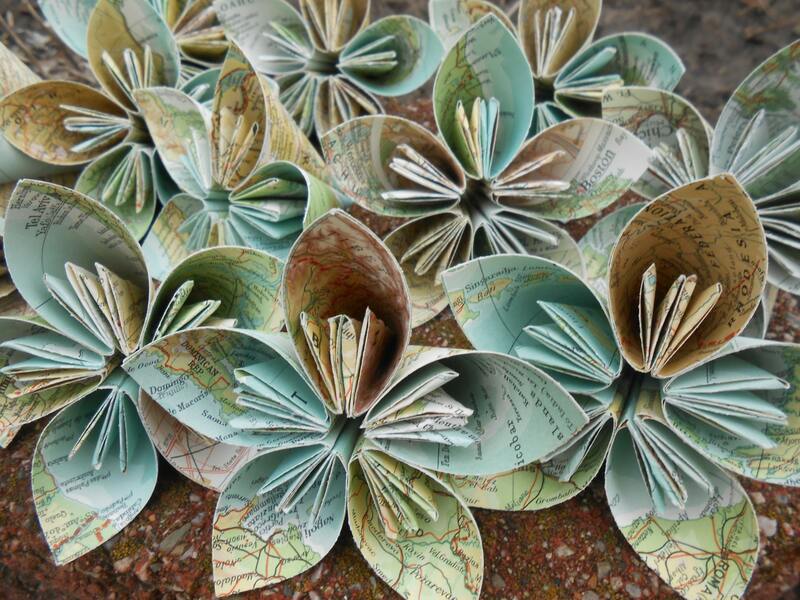 This listing is for 12 map flowers, in the size of your choice. **The measurement is across the top of the flower. These do NOT come on stems. 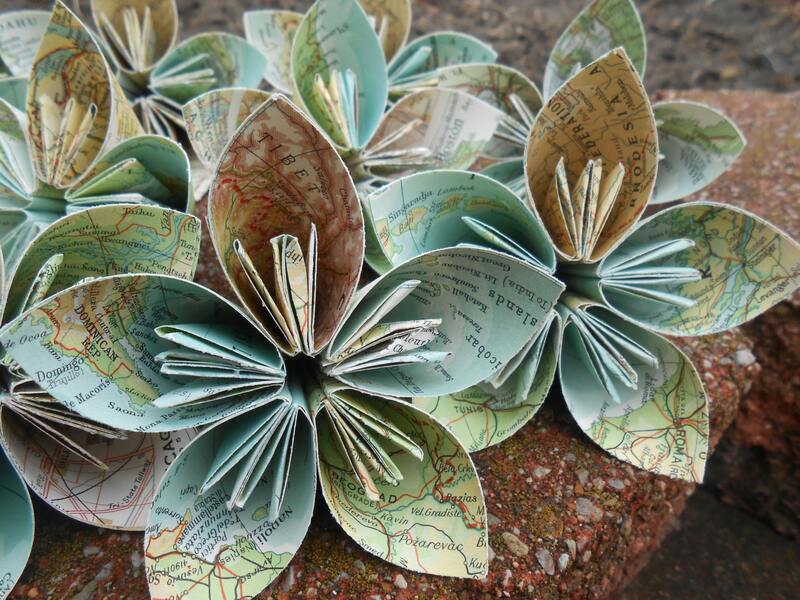 Please see my store for map flowers on stems. 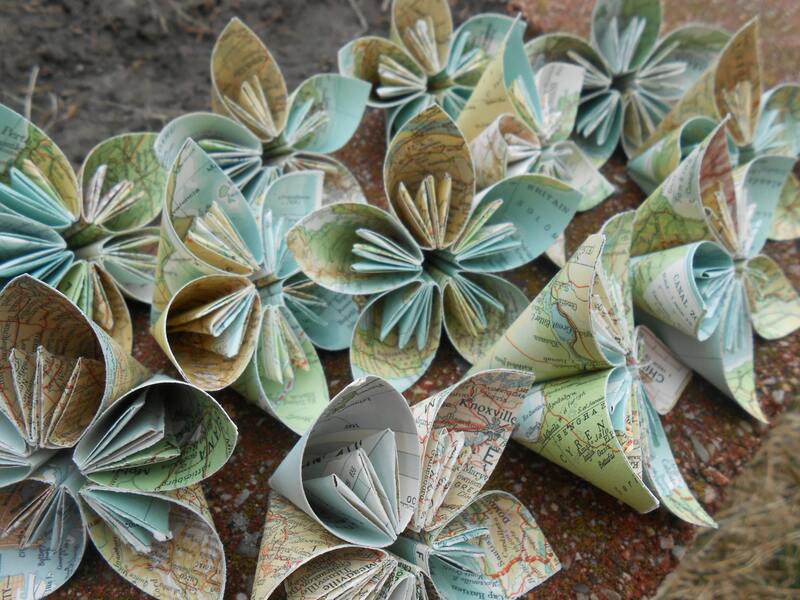 These flowers look great on cakes, on tables, as place card holders, a wedding favors, or hanging in a tent. There are a million uses for them! I can do these in any size, up to about 9". I also have other map styles. I can do them in solid colors and patterned papers, sheet music and books, or whatever else you need. 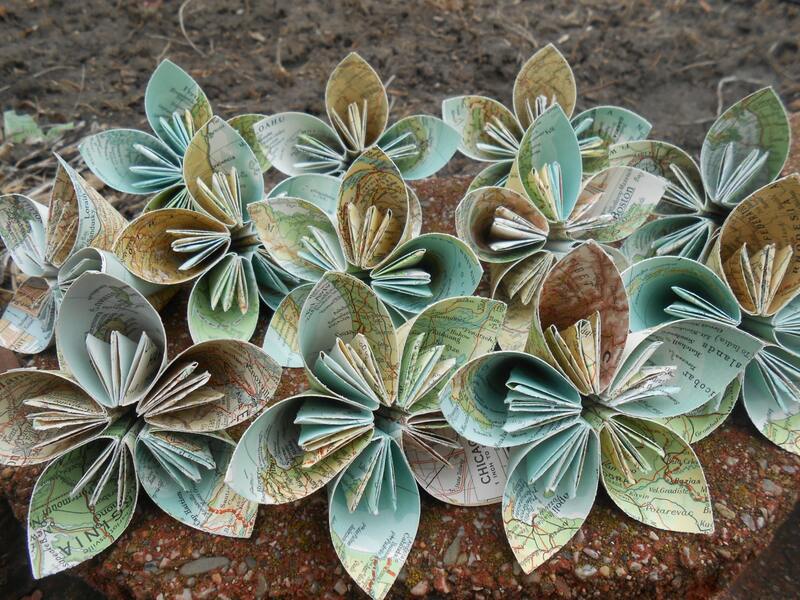 Please send me a message if you would like me to make you something different. I love custom orders and am more than happy to get you what you need!